Mercedes-AMG have issued a harsh warning to the opposition for next week’s Liqui-Moly Bathurst 12 Hour with the official unveiling of their biggest contingent of entries for the event in Melbourne today. Next week’s race will include no less than six Mercedes-AMG GT3s, with an eclectic mix of drivers from around the world. While some of the international drivers are some of the most respected in world motorsports, it will be the local Triple Eight Engineering trio of Craig Lowndes, Jamie Whincup and Shane van Gisbergen that will draw the majority of the attention in their Vodafone backed entry. 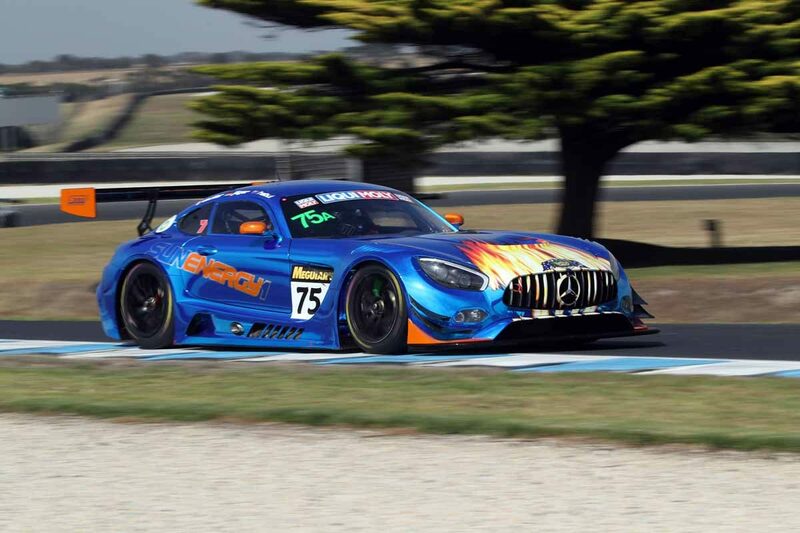 Regarded as one of the strongest driver combinations ever seen at Mount Panorama, the Queensland-based trio that tested at Phillip Island yesterday expected to start the event strong favourites. Stamping their ownership of the event, Mercedes-AMG will also be supplying two C 43 course cars and an E 63 safety car, which will ironically carry the branding of Australia’s official crash-testing organisation, ANCAP. The company will also use the event as one of their premier corporate events of the year with more than 200 guests hosted in their rooftop facility on Conrod Straight. Horst von Sanden, CEO and Managing Director, Mercedes-Benz Cars Australia/Pacific, said the Liqui-Moly Bathurst 12-Hour had become an important event on his company’s calendar. “This year marks the highest number of Mercedes-AMG vehicle entries, accompanied by a strong line-up of local, international and factory drivers,” he said. “It promises to be another exciting weekend for our customers and racing enthusiasts in Australia, and the many fans watching from around the world. Mercedes-AMG will also use the Bathurst event to publicly take the covers off their GT4, which is designed for entry-level customer racing. The AMG GT4 will be displayed at the AMG Boutique in Harris Park, the Mount Panorama circuit’s entry and retail precinct.